Bluebook is an app for iOS with the tagline of “Together, let’s find the answers” and that sums up this application pretty well. When you start up the app it explains, “simply post a picture and ask your question”. 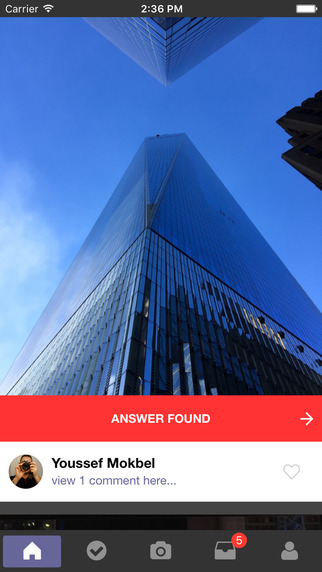 That’s all there is to it – the basic idea is that other users of the app will comment on your picture to help you find the answer. It’s a really interesting way to crowd-source information. Before you can use the app you do need to create an account (or login using Facebook). Once logged in, you can view a stream of photos with questions attached like “Where is This?” or “Who is This?”. You can comment on the photos if you know the answer, or give your best guess! 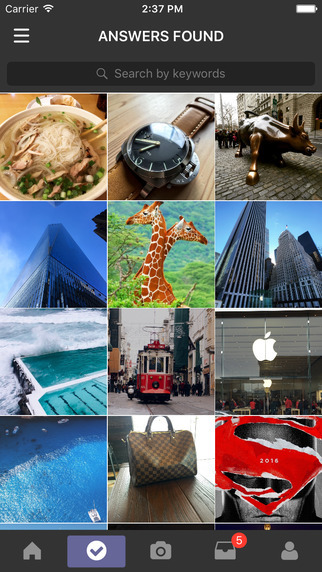 There are hundreds of photos currently on the app. You can also upload your own photos or images if you need help with something – perfect if you’ve seen a car, piece of art or dish that you like but aren’t sure what it’s called. 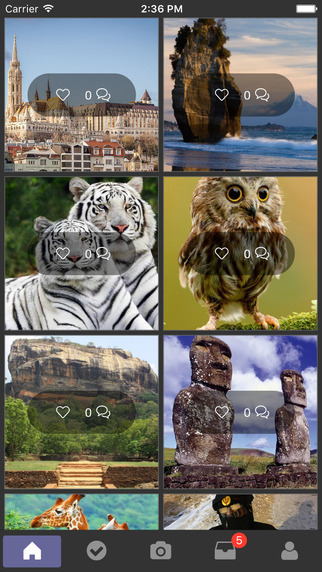 The app allows you to both take a photo using the iPhone’s camera or to pull an image from your photo library. You’ll get notified via your ‘inbox’ in Bluebox when other users have sent you a message/commented on your upload. 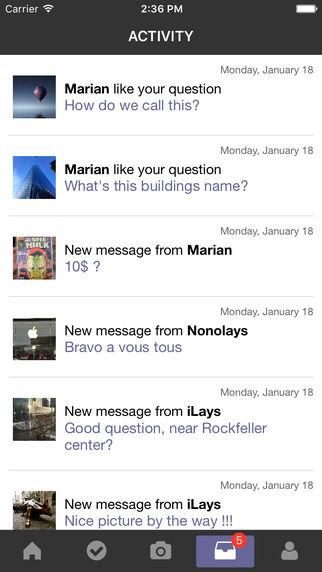 Bluebookis an innovative iOS app for crowd-sourcing answers to visual questions. It’s a free download from the app store and comes recommended as a useful tool, especially when travelling. Bluebook requires iOS 8.4 or later. Compatible with iPhone, iPad, and iPod touch.